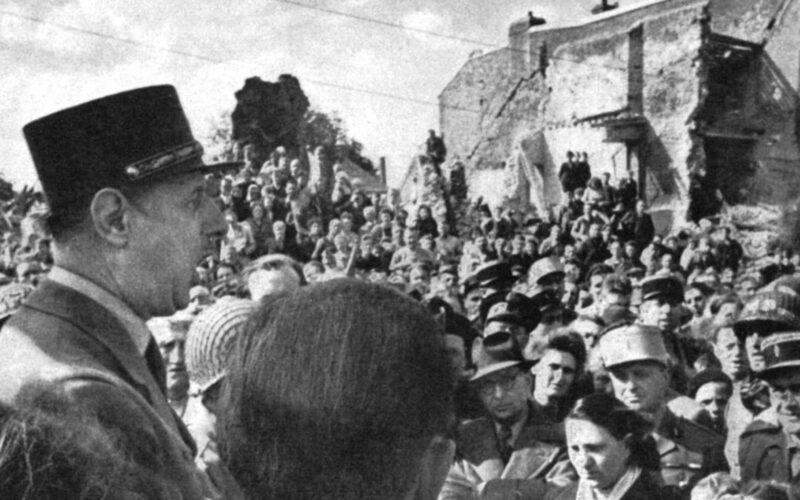 I am very happy to see the dear and bruised population of our town of Isigny gathered here, I know what suffered Isigny. 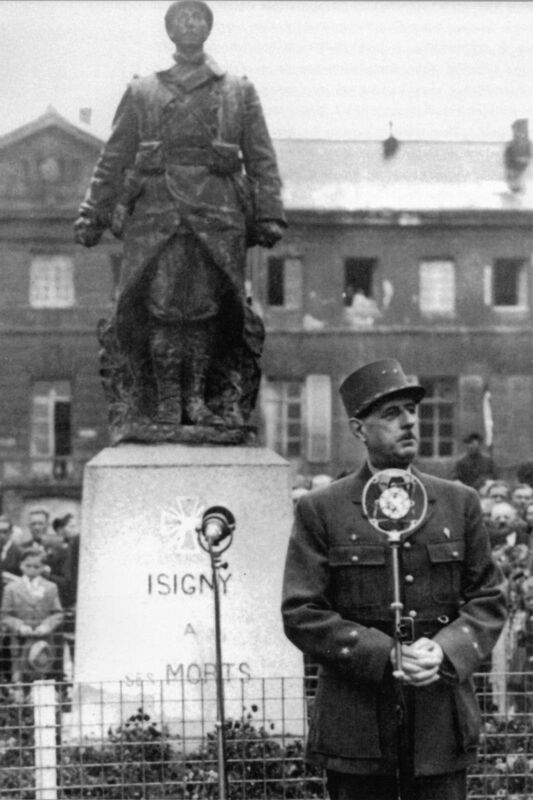 Isigny cruelly destroyed, and from which corpses are still drawn from underneath the ruins, does me the honors of its ruins. 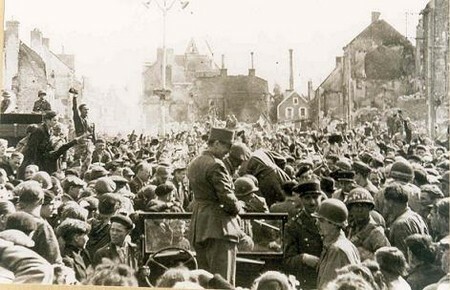 In front of the war memorial, which the bombs have mutilated, I address the inhabitants. With one heart we elevate our faith and our hope above the smoking debris. 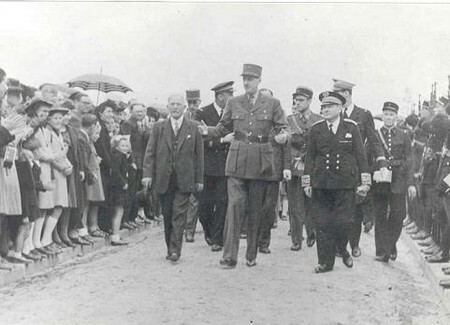 General De Gaulle passed away however his voice and his person still reason in the streets of the town of Isigny-sur-Mer.